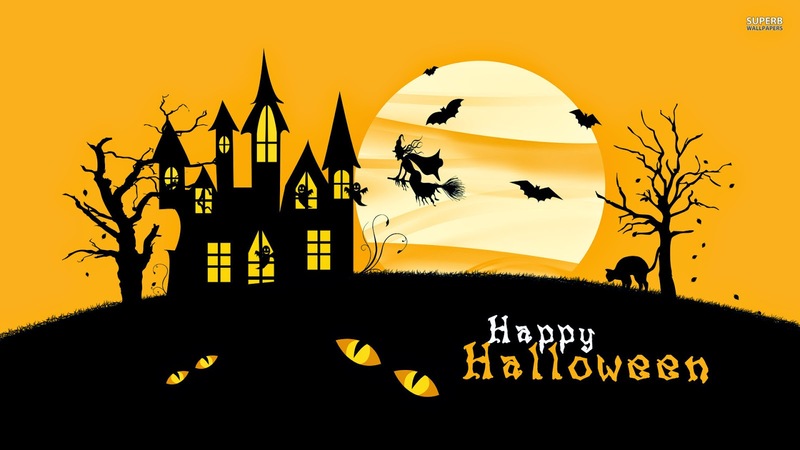 Halloween is coming, so it is a great idea to send a message to our friends, our relatives, our colleagues or to any other special person in our lives, for this reason below you are going to find an interesting selection of images related with Halloween and with the phrase: Happy Halloween. You just have to choose the kind of image you prefer, funny, formal, dark or terrifying and send it or share, I know that the person who will receive your image will be really surprised. 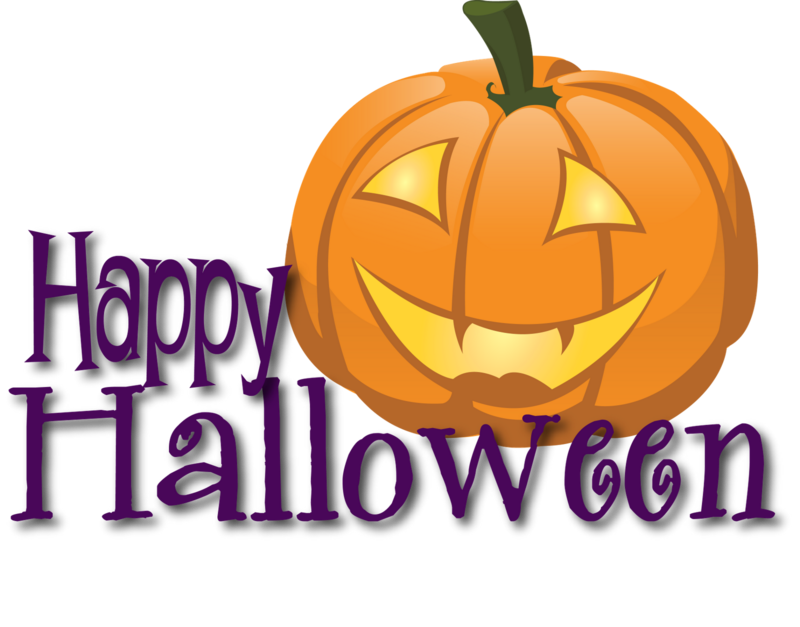 Happy Halloween with a pumpkin smiling. 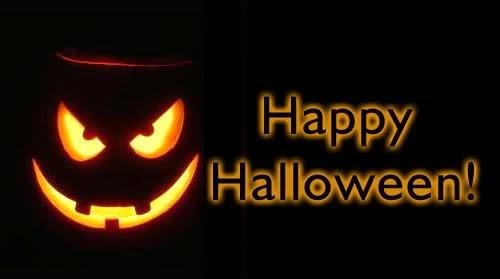 Happy Halloween with a dark background and a pumpkin with a terrifying face. Happy Halloween with a castle and a witch flying on her broom. Happy Halloween with a black cat and three pumpkins in a cemetery. Happy Halloween with some bats flying in front of the moon. 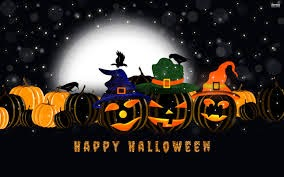 Happy Halloween with some pumpkins with witches's hats. 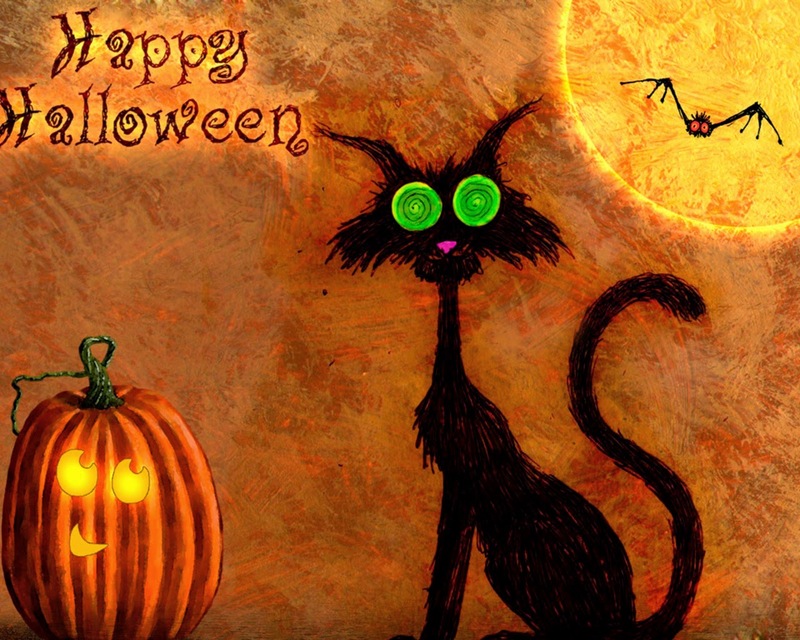 Happy Halloween with an original black cat, a spider and a pumpkin. 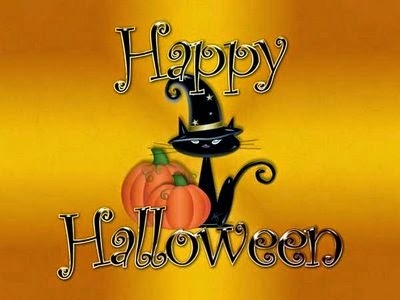 Happy Halloween with a black cat and two pumpkins. 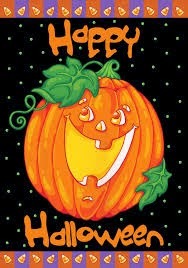 Happy Halloween with a pumpkin with a big smile. 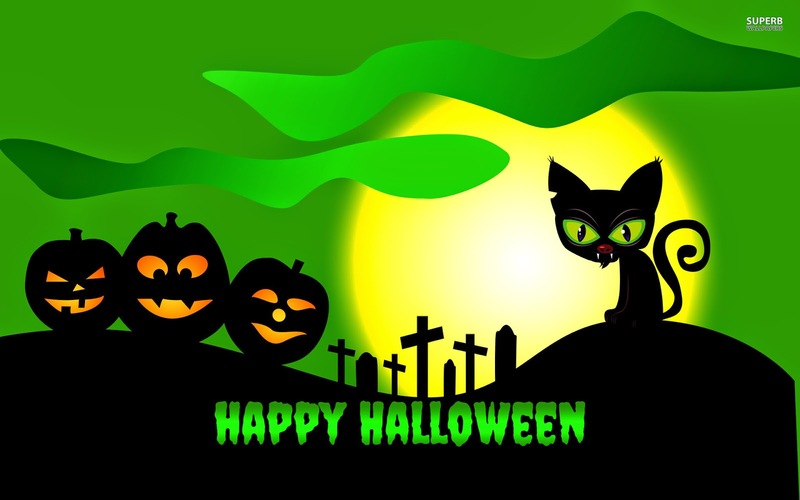 Happy Halloween with different characters of this celebration. 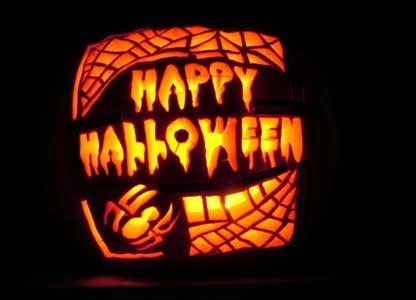 Happy Halloween with yellow letters on a black background.